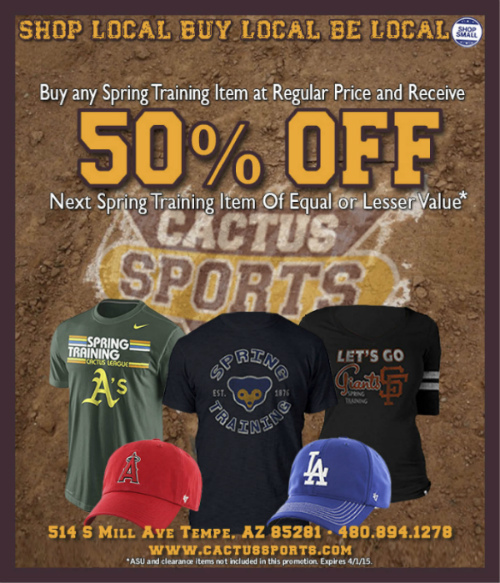 For more than 25 years, Cactus Sports has been proud to bring the finest selection of clothing, merchandise and gifts to the Arizona State University family. As an official retailer of Arizona State University, we strive to make our level of quality and service worthy of our guests. Headquartered in Tempe, we maintain a physical connection to the university and its programs that helps us continually expand our offering of merchandise that will enhance the ASU experience for alumni, faculty, fans and current students. While many ASU stores have come and gone, Cactus Sports is a community staple. Founded, owned and operated by ASU Alumni since 1992, every purchase made through Cactus Sports results in royalties that help support Arizona State University.